20/20 Game Pack! We have matched identical performance and impact point for both the Swift Break-Away Solid ad the Swift A-Frame! Shoot with confidence no matter the conditions on your dangerous game hunt. Designed for large, dangerous game, such as the “Big Five” (elephant, rhino, cape buffalo, lion and leopard) this Combo Pack offers great performance while offering manageable recoil. 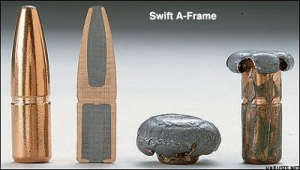 For 28 years the Swift A-Frame® rifle bullets have set the standard by which all bonded bullets are measured. With its controlled expansion of 2.2x and 95%+ weight retention A-Frame® penetrates deep and mushrooms perfectly, making it the choice of hunters for use on any game, anywhere in the world. 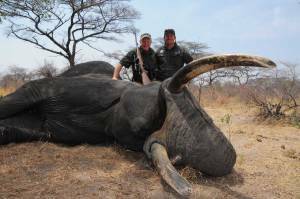 The Break-Away® Solid has hunted the most dangerous African game, including numerous elephant and buffalo, with outstanding results. 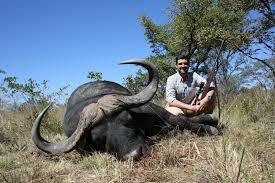 It has been extensively field tested, with many hunters and PH’s throughout Africa. .416 Remington Magnum 400 Grain Swift A-Frame- The .416 Remington Magnum is a .416 caliber of a belted bottle-necked design. The cartridge was intended as a dangerous game hunting cartridge and released to the public in 1989. The cartridge uses the case of the 8 mm Remington Magnum as a parent cartridge. When the cartridge was released in 1988, author Frank C. Barnes considered the .416 Remington Magnum to be the “most outstanding factory cartridge introduced in decades”. The cartridge was conceived as a less costly alternative to the .416 Rigby cartridge and was intended to replace the latter. While today the .416 Remington Magnum is considered in the field the most popular of the .416 cartridges, the .416 Remington did not replace the .416 Rigby as had been anticipated. Rather, it sparked a renewed interest in the .416 caliber (10.36 mm) cartridges which led to the revival of the .416 Rigby and the introduction of other .416 cartridges such as the .416 Weatherby Magnum and the .416 Ruger. The .416 Remington Magnum is one of the more popular dangerous game cartridges used for the hunting of dangerous game in Africa. It also has been increasingly used in North America, in Alaska in particular for the hunting of bears. Choice Ammunition meticulously hand-loads 100% of our ammunition to insure superior performance, accuracy and reliability. These 400 grain Swift A-Frame for the 416 Remington are ideal for most dangerous game and large bodied animals. Don’t compromise with “Factory” ammunition when it really counts! 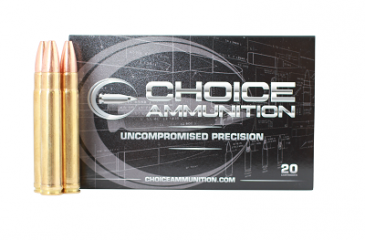 Choice Ammunition utilizes only the finest components and proprietary loading formulas meticulously assembled with temperature insensitive powders. This insures wherever your travels may take you- you can depend on our premium ammunition to close out your hunt. .416 Remington Magnum 400 Grain Break-Away Solid- The .416 Remington Magnum is a .416 caliber (10.6 mm) of a belted bottle-necked design. The cartridge was intended as a dangerous game hunting cartridge and released to the public in 1989. The cartridge uses the case of the 8 mm Remington Magnum as a parent cartridge. When the cartridge was released in 1988, author Frank C. Barnes considered the .416 Remington Magnum to be the “most outstanding factory cartridge introduced in decades”. Choice Ammunition meticulously hand-loads 100% of our ammunition to insure superior performance, accuracy and reliability. 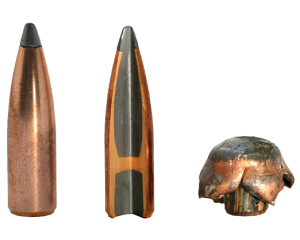 These 400 grain Nosler Partition bullets for the 416 Remington are ideal for most dangerous game and large bodied animals. Don’t compromise with “Factory” ammunition when it really counts! 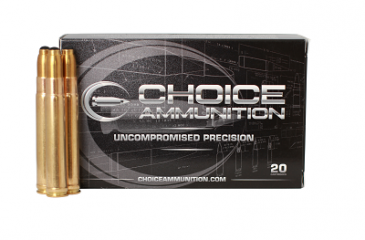 Choice Ammunition utilizes only the finest components and proprietary loading formulas meticulously assembled with temperature insensitive powders. This insures wherever your travels may take you- you can depend on our premium ammunition to close out your hunt. The polymer tip provides flawless magazine feeding and Breaks-Away upon impact. The cavitated front end provides a perfectly straight wound channel. The proprietary metal, a rebated ogive, a short driving band, and a lead core, all make the Break-Away Solid very gentle on barrels. This is the most well tested, thought out solid ever developed. .416 Remington Magnum 350 Grain Barnes TSX Triple Shock– The .416 Remington Magnum is a .416 caliber of a belted bottle-necked design. The cartridge was intended as a dangerous game hunting cartridge and released to the public in 1989. The cartridge uses the case of the 8 mm Remington Magnum as a parent cartridge. When the cartridge was released in 1988, author Frank C. Barnes considered the .416 Remington Magnum to be the “most outstanding factory cartridge introduced in decades”. Choice Ammunition meticulously hand-loads 100% of our ammunition to insure superior performance, accuracy and reliability. These 350 grain Barnes TSX rounds for the .416 Remington are ideal for most dangerous game and large bodied animals. Don’t compromise with “Factory” ammunition when it really counts! 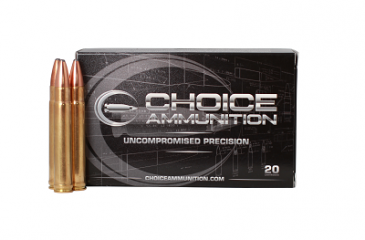 Choice Ammunition utilizes only the finest components and proprietary loading formulas meticulously assembled with temperature insensitive powders. This insures wherever your travels may take you- you can depend on our premium ammunition to close out your hunt. .416 Remington MAgnum 400 Grain Barnes Banded Solid Flat Nose- The .416 Remington Magnum is a .416 caliber of a belted bottle-necked design. The cartridge was intended as a dangerous game hunting cartridge and released to the public in 1989. The cartridge uses the case of the 8 mm Remington Magnum as a parent cartridge. When the cartridge was released in 1988, author Frank C. Barnes considered the .416 Remington Magnum to be the “most outstanding factory cartridge introduced in decades”. Choice Ammunition meticulously hand-loads 100% of our ammunition to insure superior performance, accuracy and reliability. These 400 grain Barnes Banded Solids for the 416 Remington are ideal for most dangerous game and large bodied animals. Don’t compromise with “Factory” ammunition when it really counts! 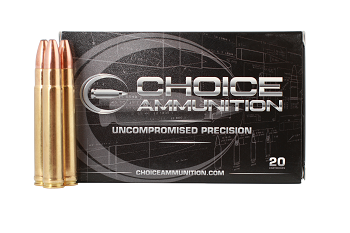 Choice Ammunition utilizes only the finest components and proprietary loading formulas meticulously assembled with temperature insensitive powders. This insures wherever your travels may take you- you can depend on our premium ammunition to close out your hunt. Barnes’ Banded Solids stop dangerous game right now! In life-threatening situations, you can depend on Banded Solids to put the largest animal down. 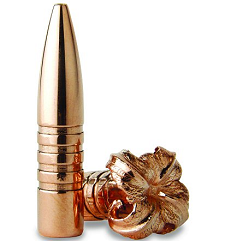 Machined from homogenous copper/zinc alloy, these indestructible bullets won’t disintegrate or deflect on heavy bone. Multiple bands, or rings, cut into the shank of Barnes Banded Solids relieve pressure and virtually eliminate fouling. New nose design tracks straighter through dense muscle and bone. Banded Solid Spitzers kill fur-bearing game cleanly, without damaging valuable pelts. .416 Remington Magnum 400 Grain Barnes TSX Triple Shock– The .416 Remington Magnum is a .416 caliber of a belted bottle-necked design. The cartridge was intended as a dangerous game hunting cartridge and released to the public in 1989. The cartridge uses the case of the 8 mm Remington Magnum as a parent cartridge. When the cartridge was released in 1988, author Frank C. Barnes considered the .416 Remington Magnum to be the “most outstanding factory cartridge introduced in decades”. Choice Ammunition meticulously hand-loads 100% of our ammunition to insure superior performance, accuracy and reliability. 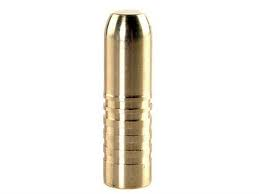 These 400 grain Barnes TSX rounds for the .416 Remington are ideal for most dangerous game and large bodied animals. Don’t compromise with “Factory” ammunition when it really counts! 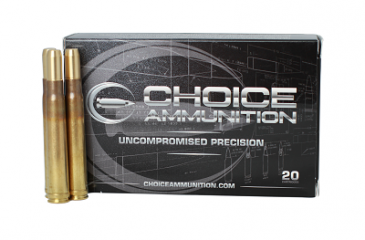 Choice Ammunition utilizes only the finest components and proprietary loading formulas meticulously assembled with temperature insensitive powders. This insures wherever your travels may take you- you can depend on our premium ammunition to close out your hunt. .416 Remington Magnum 400 Grain Nosler Partition- The .416 Remington Magnum is a .416 caliber (10.6 mm) of a belted bottle-necked design. The cartridge was intended as a dangerous game hunting cartridge and released to the public in 1989. The cartridge uses the case of the 8 mm Remington Magnum as a parent cartridge. When the cartridge was released in 1988, author Frank C. Barnes considered the .416 Remington Magnum to be the “most outstanding factory cartridge introduced in decades”.